Oil Dependence — According to the Department of Energy (DOE), more than half of America’s oil is imported. Of the imported oil, roughly 65% to 75% is located in the Middle East and controlled by members of OPEC oil cartel. EVs should lessen our involvement in volatile regions and allow America’s money to be invested in other areas. Inefficiency — Did you know that your vehicle only taps 15% of the energy stored in its gasoline? The rest of the energy is lost as heat waste. It’s estimated that if half of Americans traded the gas nozzle for an electric plug, we could reduce US oil demand by as much as 33%. Air Quality — Automobile exhaust emits 25-75% of the key chemicals responsible for smog and health problems, such as asthma. In fact, the DOE claims that 133 million Americans live in cities that failed at least one National Ambient Air Quality Standard. 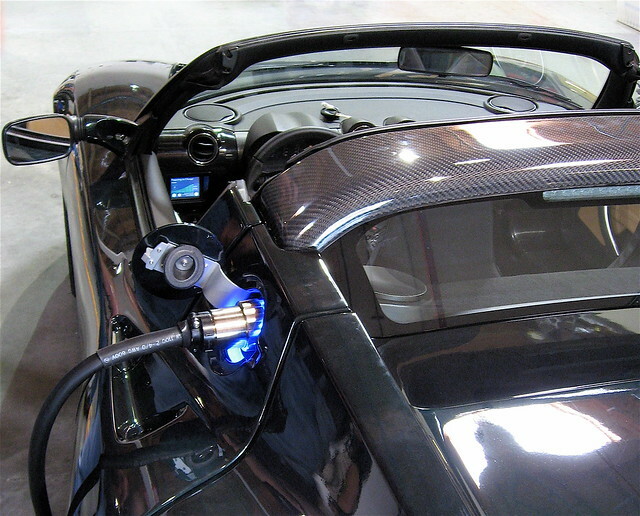 Electric cars have no tail pipe emissions. The only emissions created to power an electric vehicle are at the electric utility, which is much more efficient at capturing pollutants than individual cars. Will Electric Vehicles Solve Our Problems? Electric cars will only make a dent to our environmental, social and economic problems if people actually buy and use them. In a recent Ernst & Young Survey, 25% of the people surveyed said that they would consider purchasing a plug in hybrid or electric vehicle once they become available. Would you buy one? What convinced you to buy now? Or, what’s holding you back?